Laser acne scar treatment is a form of treatment that is offered by Leeza’s Laser in our Toronto clinic, it was of the more popular forms of acne treatments compared to more traditional methods. More and more people are opting for this new technique due to the ineffectiveness of antibiotic treatment. 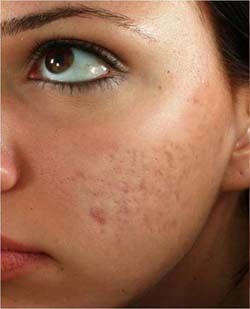 During laser resurfacing, a doctor points a laser-emitting pen just above the acne or acne scar tissue and waves the concentrated beam of laser light back and forth. This technique vaporizes only the unwanted tissues and creates a new surface for skin cell growth. Due to recent development in laser for acne scars, there are training and application issues that require you to make sure your doctor has sufficient training and experience in using the laser equipment. You may get that by looking at previous clients’ testimonials and case studies. A great way to ascertain previous successful treatments would be by seeing before-treatment and after-treatment pictures of the latest cases that doctor handled. It would also help you show how many different types of lasers the doctor owns and how often each piece of equipment is used. Leeza’s laser are experts when it comes to Laser acne scar removal in Toronto and we would love to see you for a consultation to see how you can benefit from our services.